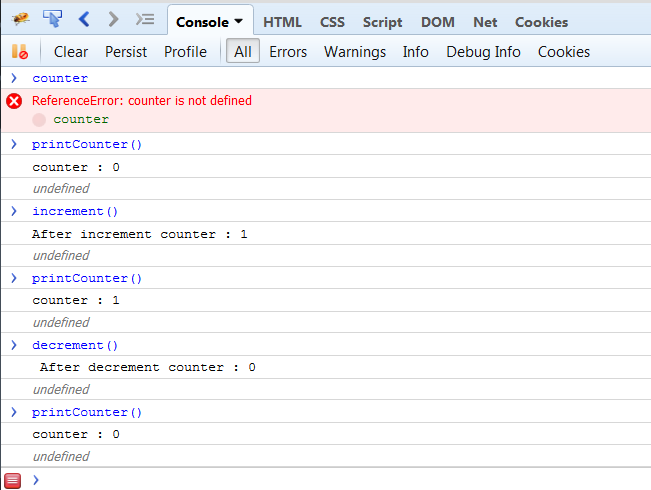 Now from console in your browser try to access counter variable. You should be able to access it. 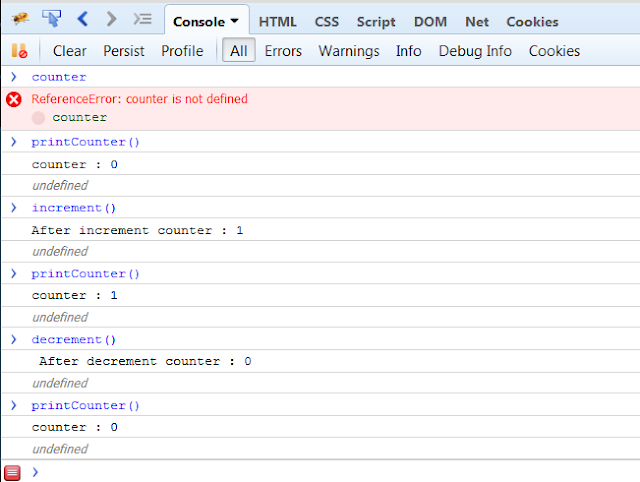 You can also try to print counter value after executing increment and decrement methods from console. Couple of notes before we proceed to see the output on console. 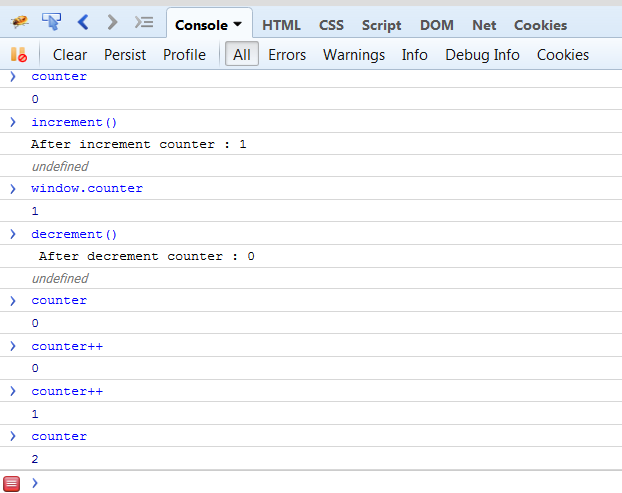 In above code counter is a global variable. In a web page global variables belong to window object. So you can also access it using window.counter. Global variables can be accessed/changed by all scripts in a page. Now the question is we don't want to expose counter variable. What can we do? Closures to the rescue. Now repeat above operation. You cannot access counter variable now. Since it is define inside the closure it's scope is limited to that. 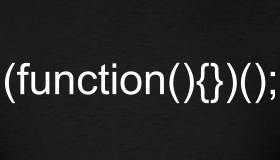 functions on the other hand are global, so those you can use. It's called self executing function. It is executed only once when page loads. So A closure is a function having access to the parent scope, even after the parent function has closed.